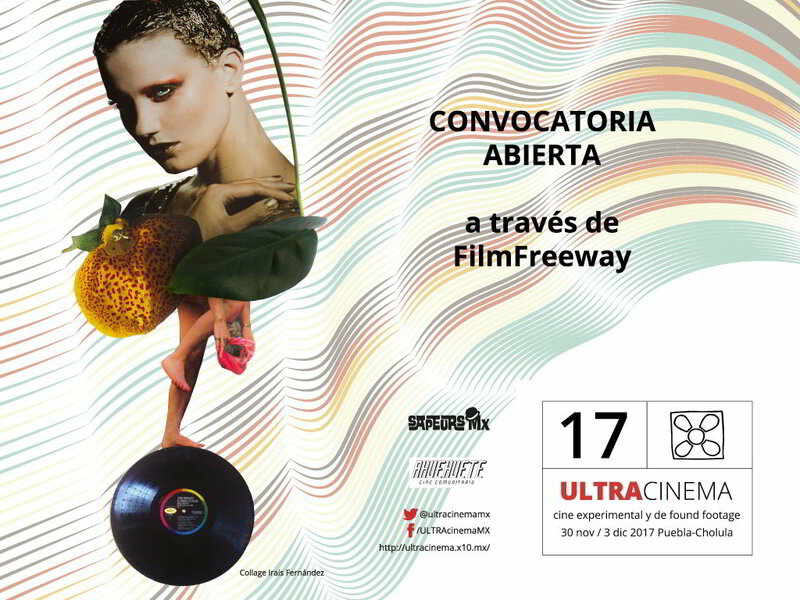 The Société des Ambianceurs et des Personnes Elegantes Mexico is looking for recent audiovisual works for ULTRAcinema 2017, the sixth edition of our annual festival to be held from November 6th to December 3rd 2017 in Puebla. ULTRAcinema 2017 will present new film and video works by emerging and established filmmakers, in their different categories. We look for non-commercial works, created by artists of all genres. Open to all audiovisual works created with some form of appropriation of films or videos in any format, including those works that are made entirely with found footage or that use only some segments of reappropriated material. Maximum duration of 20 min. Documentary films made with or around found footage or archival footage. Without duration limit. Any experimental short film of any genre, without found footage and with a maximum duration of 20 min. We accept works of any year and country of production. Please do not send scripts of any kind or commercial movies. The maximum duration of the works we accept is 20 minutes, except for Archive Fever that allows documentary feature films. The final selection will be made by our guest curators and they will also select the works that will be shown online. ULTRAcinema 2017 will be held from December 30th to November 3rd. 2017 in the cities of Puebla and Cholula, México. We implemented a small fee to recover the expenses of organization. You can not send files online anymore, please use only FilmFreeWay. ULTRAcinema empezó como Jornadas de Reapropiación, y es un escaparate para el cine experimental, de found footage y en general al cine que le interesa una interacción profunda con el archivo audiovisual.